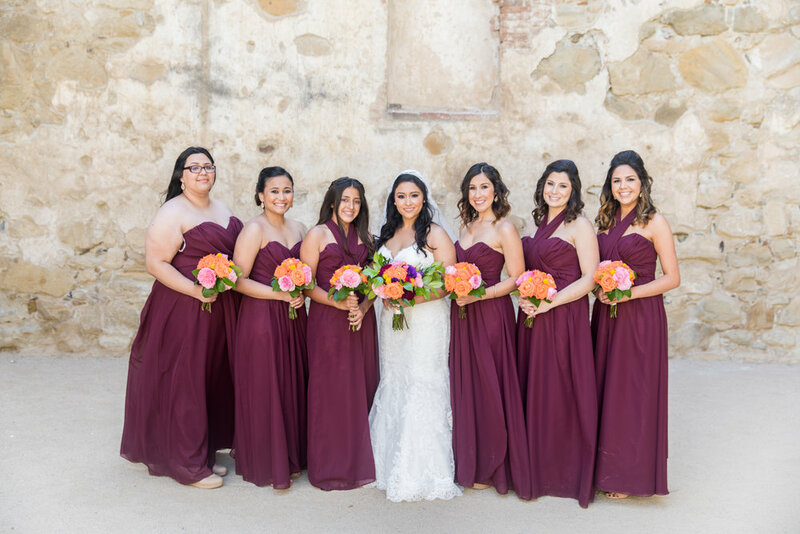 "This vibrant Franciscan Gardens wedding was full of fun colors and patterns of Mexico. 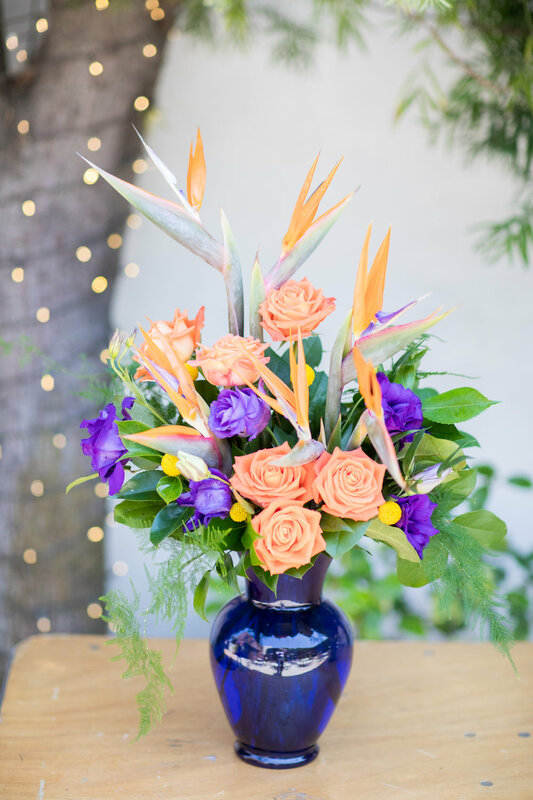 From the pottery the bride imported from Mexico for the centerpieces to the detail on the cake, this wedding was full of culture and fit perfectly in San Juan Capistrano. 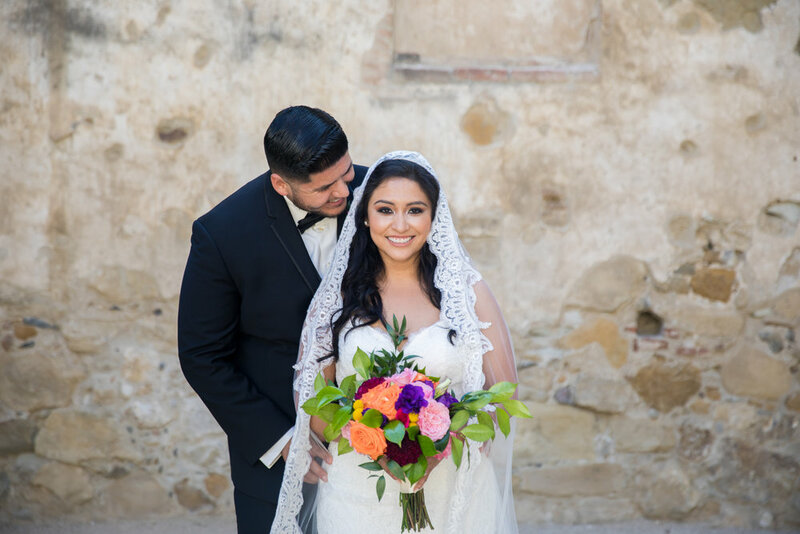 The ceremony was at the beautiful Mission Basilica Parish and the reception took place at Franciscan Gardens. 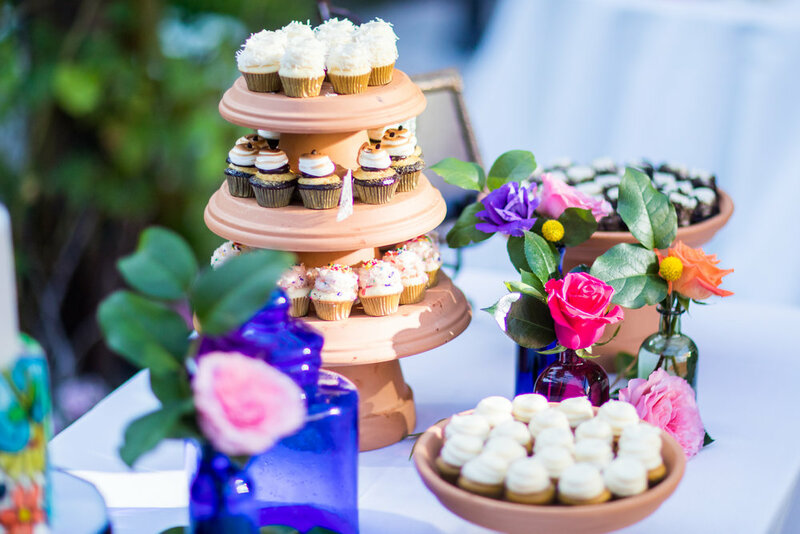 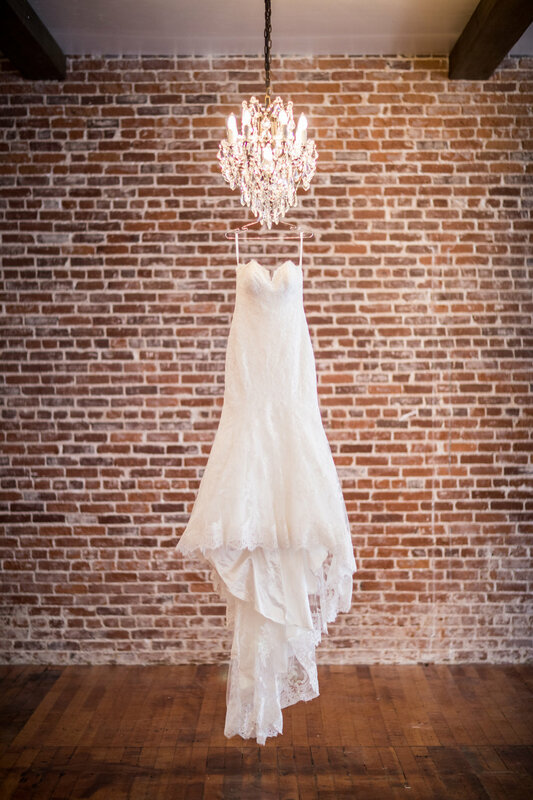 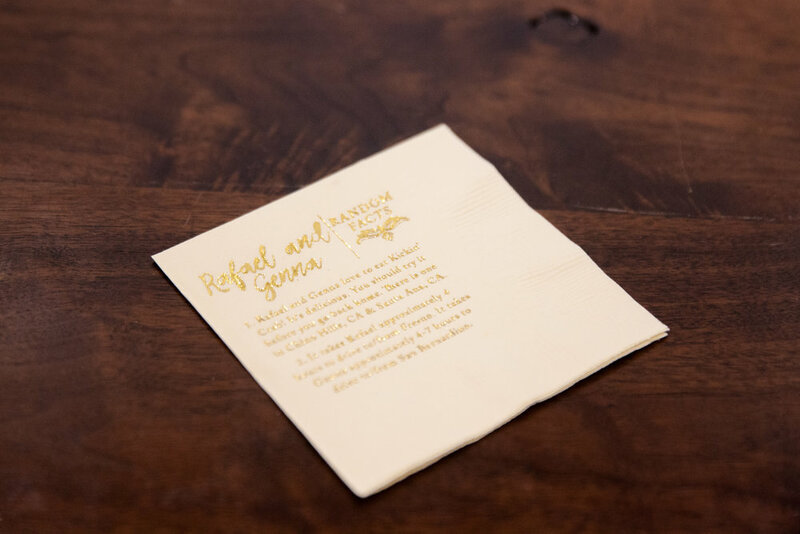 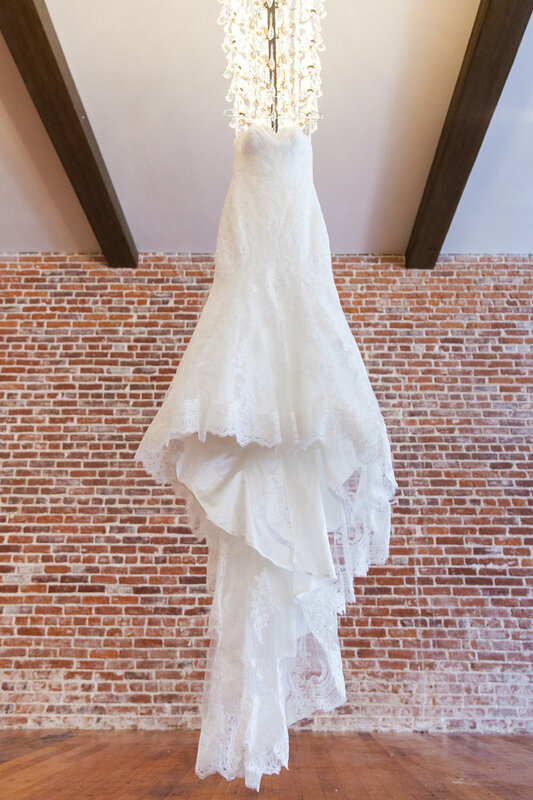 The couple wanted to incorporate many aspects of their culture including a wish piñata, mariachi band, a pan dulce display of authentic Mexican breads, and Mexican coffee for guests to take home."